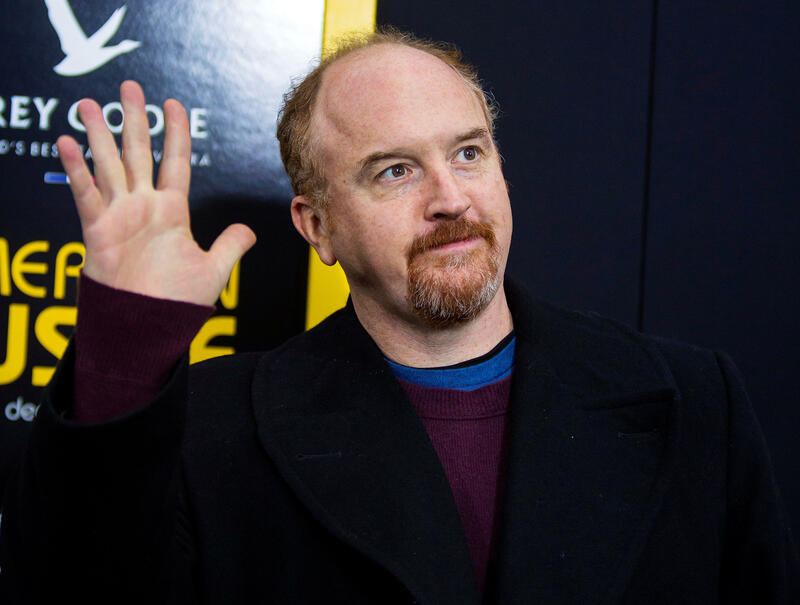 A month after his controversial return to the stage at New York's Comedy Cellar, disgraced comedian Louis C.K. performed again at the famed comedy club. The comedy club said that two women walked out when C.K., who admitted last November that multiple sexual misconduct accusations against him were true, took the stage. The Comedy Cellar has a new policy that allows patrons to leave with their check "on the house" if they do not want to see a performer. One audience member told HuffPost that the comedian made some people uncomfortable with a few of his jokes "because of the context." "One was a joke about taking his 9-year-old daughter to Old Navy and seeing that they have boyfriend shirts for 9-year-old girls, and then graphically describing, 'Oh, is my 9-year-old supposed to be f**king her boyfriend all night and taking his shirt?' and another was about how much he liked 'his doctor touching him,'" the person said. 'He had a Freudian slip, saying 'I love it when my father touches me' (instead of doctor)." Audience members also said that C.K. mentioned that he knew not everybody was happy to see him perform. The club told the New York Times that two women left the show. In November, C.K. confessed to masturbating in front of women colleagues and expressed remorse for wielding his influence "irresponsibly." Five women last November accused the comedian of inappropriate behavior. He released a statement in which he said, "These stories are true." "I can hardly wrap my head around the scope of hurt I brought on them," he said. "There is nothing about this that I forgive myself for," he wrote. "And I have to reconcile it with who I am. Which is nothing compared to the task I left them with." The backlash was swift. Indie distributor The Orchard canceled his movie, "I Love You, Daddy," FX ended its production deal with him and HBO edited him out of "Night of Too Many Stars." Universal Pictures and Illumination terminated their relationship with C.K. on "The Secret Life of Pets 2." Netflix also said it would not produce a second planned stand-up special starring the comedian, citing his "unprofessional and inappropriate behavior." He had been tapped for two specials. His publicist, Lewis Kay, quit working for him, as well. Since the scandal, C.K. has largely remained out of the public eye.